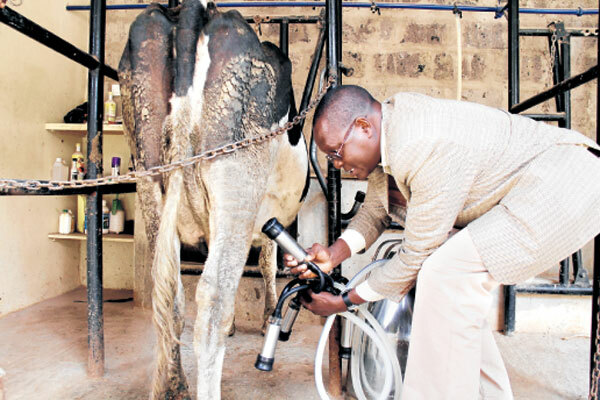 Profitable Dairy Farming: In 2004, some two years before leaving work at the Maritime Police Unit, his last posting, Albert Miare began planning for his retirement after 37 years in the service. 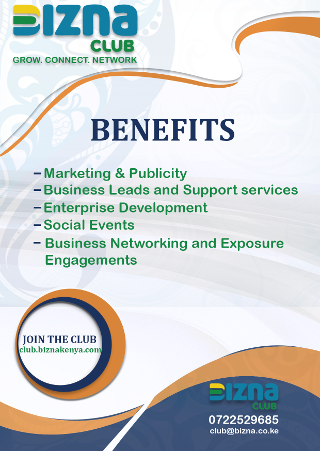 Owning two acres in Kasarani where his home is also located, farming was the viable option for him. He started with a heifer his cousin offered him, and added two others, with the herd growing over the years. Today, his Miare Dairy Farm is a thriving urban enterprise, which also supplies fresh vegetables to residents, a business his wife Fatma started sometime in 2006. The zero-grazing section sits on quarter-acre hosting 50 animals of Friesian, Ayrshire and Guernsey breeds. The cows are housed separately according to their ages, with drainage channels carefully built in the sheds to help in draining the waste to the farm. “I am currently milking 15 cows, thrice daily at 5am, at noon and 5pm and get at least 210 litres of milk, with my high milker offering me 35 litres daily,” says Miare, adding by February, 10 more cows would be lactating, therefore, he is expecting his production to hit 400 litres. He sells the milk to suppliers, schools, hotels, hospitals and neighbours at Sh. 60 per litre. The farmer feeds his cows napier grass, hay, vegetables from his farm and mineral concentrates twice daily. He also collects manure that he sells to other farmers at Sh. 16,000 per 10-tonne lorry. The vegetables he grows include collard greens (sukuma wiki), spinach, amaranth, African black nightshade (managu), African kales (kanzira) and cowpeas (kunde) mainly inside greenhouses measures 10 by 20m each. “I started with one greenhouse after investing Sh. 230,000. Right now I have three greenhouses that host the vegetables,” says Miare, who notes the changing climatic conditions and pests and diseases played a part in his decision to grow vegetables in greenhouses. He keeps records of all his farming ventures as they help him avert unnecessary loses, act as reminders for all that goes on in the agribusiness and keep the proprietor informed of the health status of his venture. Prof Matthews Dida, a plant breeder and agriculturist at Maseno University’s School of Agriculture, recommends cultivation of vegetables in greenhouses to inhibit spread of diseases. Miare sells the spinach and collard greens at Sh. 35 per kilo while kunde goes for Sh. 40 per kilo because of its huge demand. More cash comes from selling heifers at between Sh. 120,000 to Sh. 200,000 depending on their ages, while a month old bull calves go for Sh. 5,000. This feature was first published in the Saturday Nation’s Seeds of Gold.